In 1993 Ron started coaching hockey in the Capital Region NY. He has spent the last 26 years coaching, instructing and developing players at every age level from youth to pro. From 1995-97 Ron worked to create the foundation of his player development and skills programs. In 1997 Ron founded Excel Hockey Inc. and became an owner of the Hockey Hut Training Center. This allowed him to train players throughout the entire year. Also in 1997, hired by current Boston University Athletic Director Andrew Marrochello, he took the Hudson Valley CC Hockey Program from a two-win season and in four short seasons delivered the 2001 NJCAA National Championship to HVCC and the Collar City. Over the next 20 years, Ron coached hundreds of hockey games at all levels in all seasons and built a world-class facility. The Hockey Hut Training Center has become a respected and valued part of the New York, New England and Mid-Atlantic Hockey landscape. Ron draws players to the “Hut” from all over the globe to train with him. He has built relationships with coaches and players throughout every Professional and Junior Hockey League in North America and has a working knowledge of the NCAA rules and regulations through those relationships. 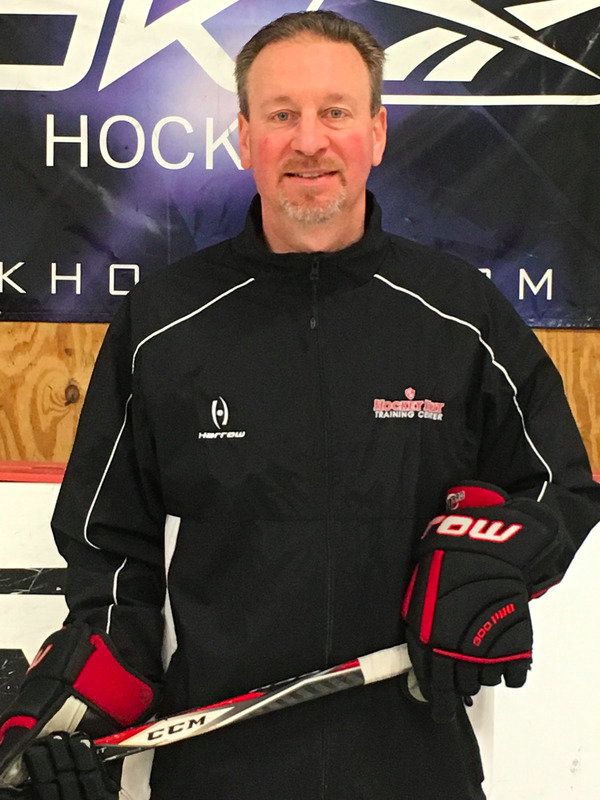 His diverse corporate and coaching background has allowed him to become an expert in building businesses and hockey programs through a successful plan that relies on the ability to plan, train, coach and teach hockey skills for players and teams around the world. He has created a teaching system that breaks down the individual skills for each player to improve on, but he also has the coaching knowledge and ability to create a team system and program culture to allow those individuals the creativity to thrive within a team. He currently coaches and trains players in the NHL, AHL, ECHL, NCAA Division I-III, and the top three Junior Leagues in North America. Jeffrey Silengo joined the Hockey Hut in the spring of 2019. Prior to joining the team, Jeff spent the 2018-19 season working with the Union College Men’s Program as the Director of Hockey Operations/Video Coordinator. Jeff worked closely with the players and coaching staff on a day to day basis. From 2016-2018, Jeff worked at Northwood School in Lake Placid, NY and served as the boy’s head hockey coach for the prep team as well as the strength and conditioning coach for the hockey and ski programs. In his two year tenure, Jeff recorded two winning seasons and helped over 10 players develop and move up to play on Northwood’s top team. Jeff has his ISSA personal training certification and has performed 1v1 training sessions as well as team workouts. Born and raised in Madison CT, Jeff has been coaching players of all ages throughout every summer since he was 16. He worked as an instructor, coach, and mentor with numerous hockey schools around the country. Jeff graduated from South Kent in 2009 and then went on to play one year of junior hockey in the USHL for the Sioux City Musketeers before playing Division 1 collegiate hockey at the University of New Hampshire. At UNH, Jeff earned Hockey East Rookie of the Week (2010), Hockey East All-Academic Team (2013, 2014), Nate Hardy Iron Man Award (2013, 2014), and Warren Brown Best Defensive Forward (2014). Following UNH, Jeff played his professional hockey in the ECHL for the Florida Everblades, Atlanta Gladiators, and Adirondack Thunder, where he received the player of the week award in 2015 with the Thunder. 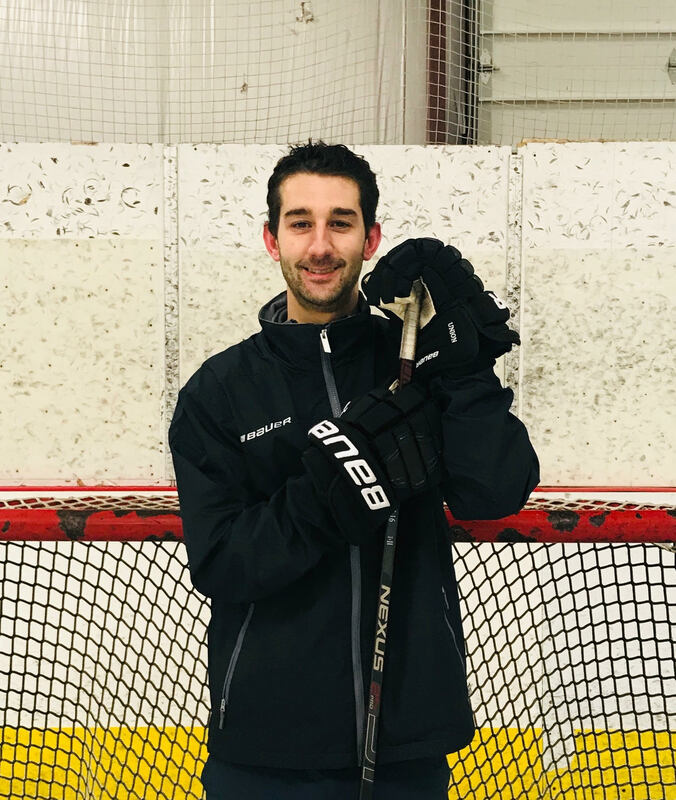 Jeff is very excited to be a part of the Hockey Hut as an on-ice skills coach, and he is looking forward to sharing his hockey knowledge that he has learned over the years both as a player and as a coach. Teagan Ketchum has been part of the fabric of the Hockey Hut from the first day of it’s opening. Teagan graduated from the very first ever Learn to Skate program ever run at the Hut. She went on to play hockey locally in the Ice Cats program. From there she played Division l Hockey at Sacred Heart University. 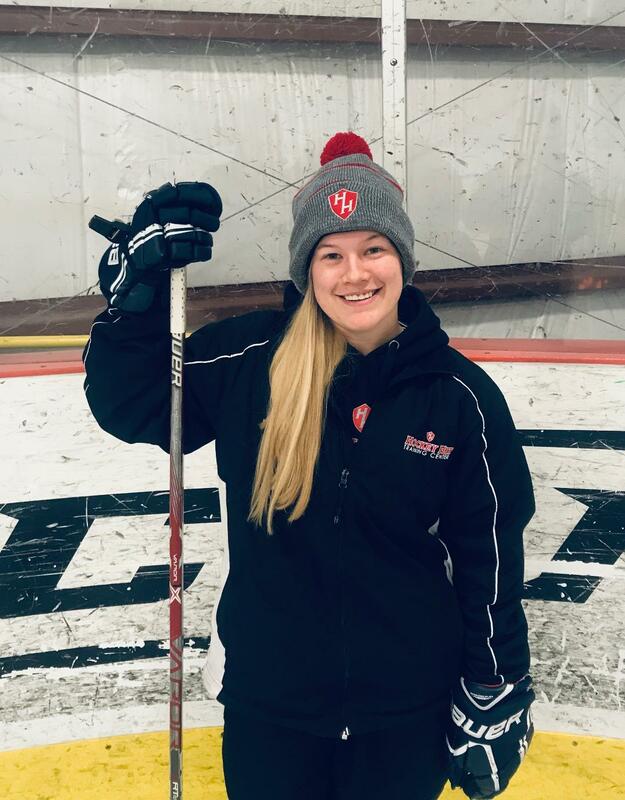 Throughout her college career Teagan has run many programs in the off season at the Hockey Hut including semi private sessions and Hockey Camps!